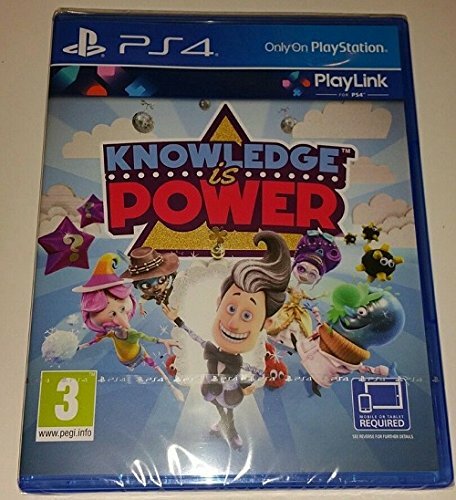 Bye bye buttons - As a PlayLink game, Knowledge is Power can be played with phones and tablets, using touchscreen controls. It's simple - if your Grandma can use Facebook, she can do this. Be the star of the show - Because few of us can go an hour without taking a picture of our own face these days, Knowledge is Power lets you customise your characters with selfies. 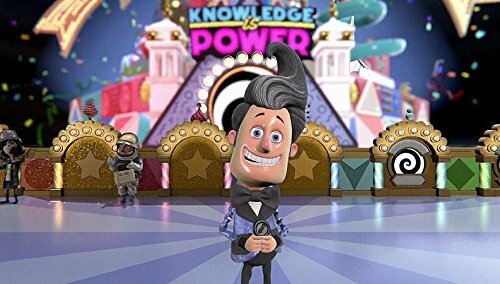 You're guided through the Pyramid of Knowledge by Max, a gameshow host with charm, confidence, and more teeth than a toothpaste ad. Let's talk tactics - Don't worry if you're rubbish at quiz questions - use Power Plays like bombs and ice to sabotage your smarter opponents. You can even gang up with others, forming alliances and devising devious plots to bring your rivals down. It's just like regular family life! 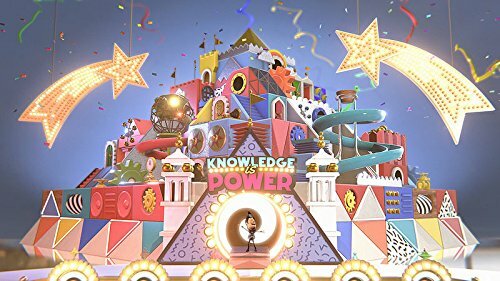 Explore the Pyramid of Knowledge -What have the Egyptians ever done for us, apart from invent written language, paper, and mints? 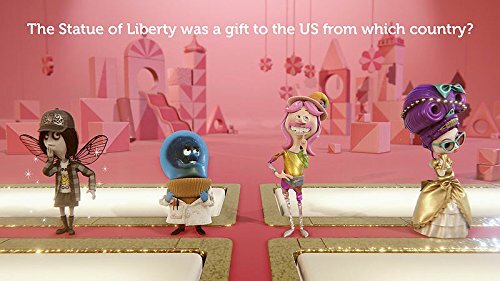 Well, they inspire 21st century video game quizzes, of course. The rooms in the Pyramid of Knowledge contain thousands of questions to choose from, and you can vote for or veto them as you go. 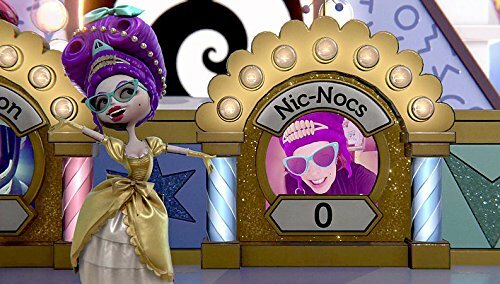 Make it to the top and you'll compete in the Grand Finale - a frantic mashup of rapid-fire questions and dastardly Power Plays that will see one winner crowned, and everyone else crying for their mummies. 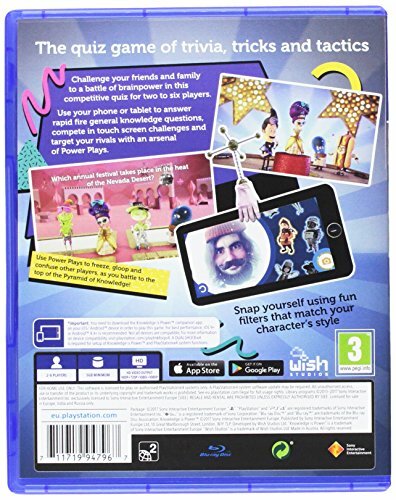 laim your fame in a sparkling PS4 exclusive game show quiz from the growing PlayLink range. 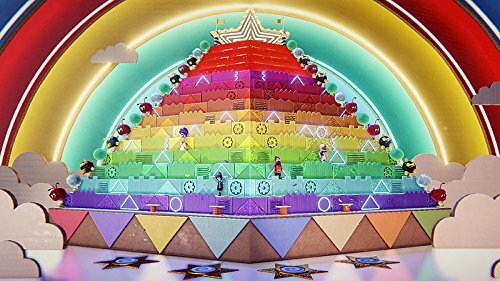 Dont worry about your DUALSHOCK 4 wireless controller - simply grab your smart device, choose from one of eight characters and snap a selfie, then enter the Pyramid of Knowledge, where you and up to five friends answer a variety of themed questions in a madcap race to its summit. 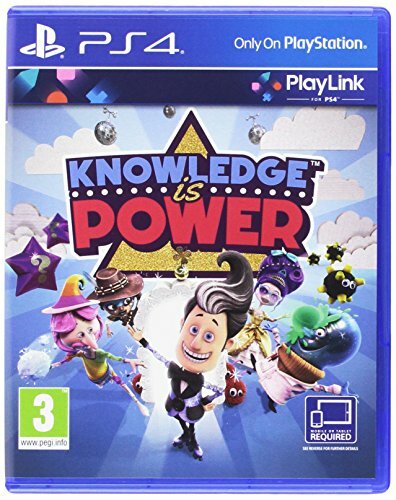 Whether you choose Hotdog Guy, Glam Wizard, Cowgirl or any of the other zany personalities, its up to you to beat your mates by answering questions quicker than them. Need an ace up your sleeve? Throw in a Power Play to slow down your pals, forcing them to tap through ice or rub away gunk before they can answer. With touch screen challenges, the ability to plot with other contestants to bring down your rivals, and a rapid-fire Grand Finale, game show glory is in your hands.